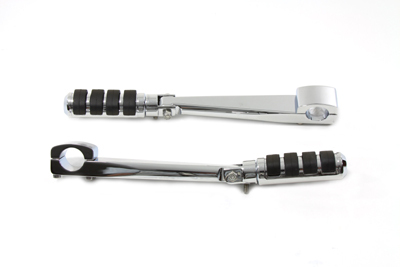 Chrome highway bar kit features 1-1/8" diameter arms that clamp to front down tubes. The mounts allow for an 8" range of motion to fit any length leg. Kit includes stainless steel hardware and cats paw footpegs.